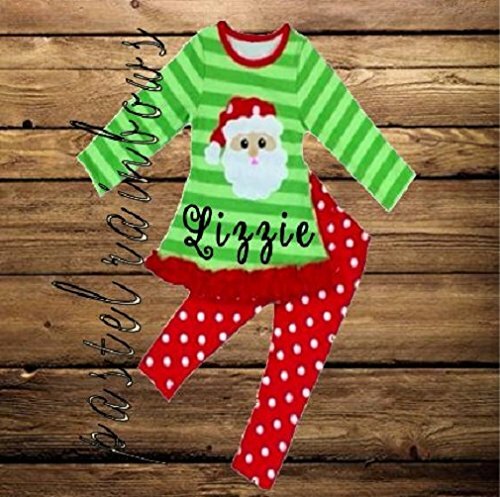 This super adorable outfit is perfect for any holiday event. Green Striped shirt with long sleeves. Red ruffled hem.....Santa is in the center with name underneath. Pants are red polka dots~~~~~~~~~~~ Will ship within 3 days.~~~~~~~Please contact me with any questions. If you have any questions about this product by Pastel Rainbows, contact us by completing and submitting the form below. If you are looking for a specif part number, please include it with your message.